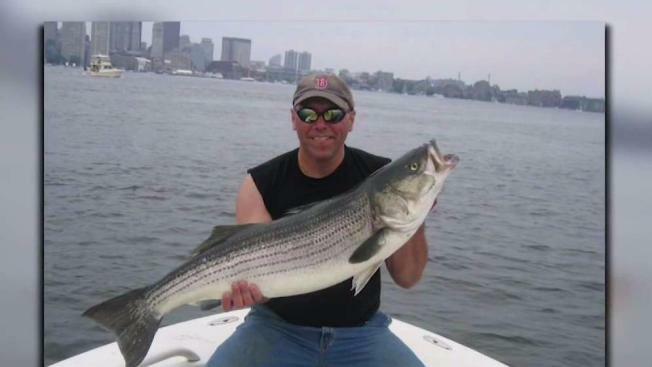 Louis Remigio, a 55-year-old off-duty police officer, was riding his motorcycle when he was struck by 18-year-old Mike Ricci, who was allegedly racing other cars. An off-duty Massachusetts police officer is on a ventilator and in critical condition after being struck by a teenager who was racing other cars during a collision on Interstate 95 in New Hampshire on Sunday, according to state police. Authorities said Mike Ricci, 18, allegedly crossed the median in a Mercedes-Benz on I-95 southbound in North Hampton, striking Somerville police officer Louis Remigio, 55, who was riding a Harley Davidson motorcycle. Mike Ricci, 18, is accused of striking off-duty Somerville, Massachusetts, police officer Louis Remigio, 55, who was riding a motorcycle. State police said a Subaru Legacy rear-ended the Mercedes because it could not stop in time, and the driver of the Subaru, 63-year-old Wells, Maine, resident John Bamford, and his passenger, 61-year-old Jaclyn Bamford, were also taken to a local hospital for non-life-threatening injuries. Ricci was allegedly racing other cars before the collision, according to police. Remigio, of Tewksbury, who is a 30-year veteran of the Somerville Police Department, is surrounded by family, friends and other officers at Portsmouth Regional Hospital, according to the Somerville mayor's office. "Louis Remigio is exactly what you want in a police officer," Somerville Police Chief David Fallon said. "Big, tough, kind, empathetic ... everything you look for in an officer is Louis Remigio." Remigio's neighbors said he is an incredible father who has been raising his two daughters on his own since the death of his wife. "I'll be honest, I'm heartbroken," said neighbor Bill Fabiano. "Just a good guy... that you know." "I really hope he recovers and everything works out well for him," said another neighbor. 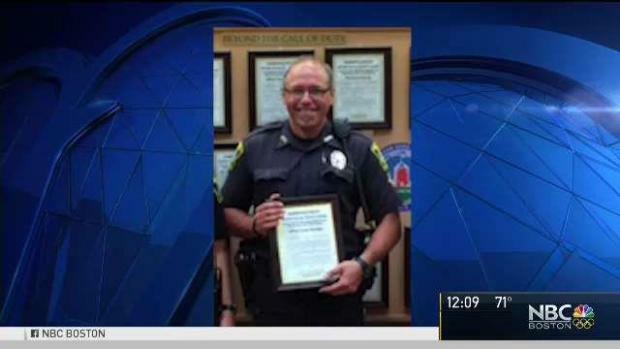 Officer Remigio's Tewksbury neighbors said he loves riding his Harley. "I've seen him going up the road with it a couple times," said neighbor Jennifer Saia-Costa. Curtatone said at a press conference Monday evening that Remegio has a long battle ahead of him. An off-duty Massachusetts police officer remains in critical condition after being struck by a teenager who was racing other cars during a collision on Interstate 95 in New Hampshire on Sunday, according to state police. Ricci, of Burlington, Massachusetts, was arrested on a felony reckless conduct charge and has since posted a $10,000 cash bail at Rockingham County Jail in New Hampshire. He is scheduled to be arraigned on October 20 in Seabrook District Court. It wasn't immediately clear if he had an attorney.